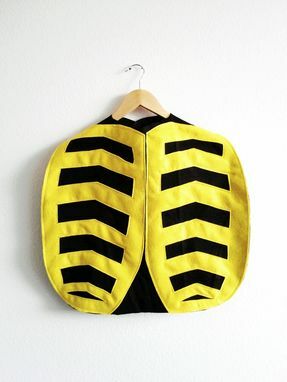 This fun cape is perfect for a simple halloween costume or for every day dress up play. 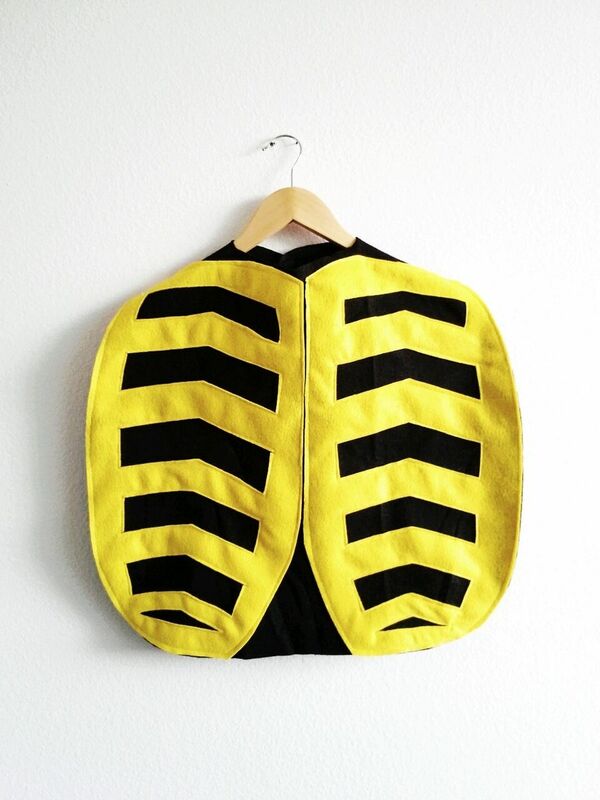 Hand cut bumblee bee wings cape, made from black felt with yellow felt wing design machine stitched on top. 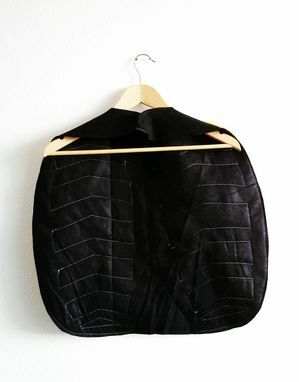 Cape attaches at front with Velcro so it is child safe. Cape measures about 21 inches wide, and about 18 inches long. 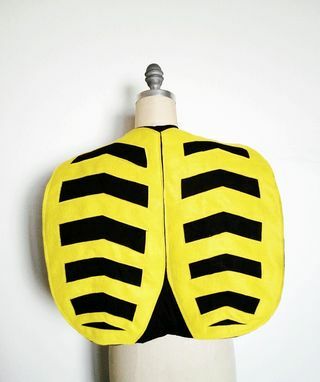 One size fits most ages 2 years through adult. This item is made to order, please allow 3-4 days for completion.